sleeping with my eyes open: Gap Adventures: Special trip to Hoth, Tatooine and more! Actually, that price looks pretty reasonable considering what's on offer. 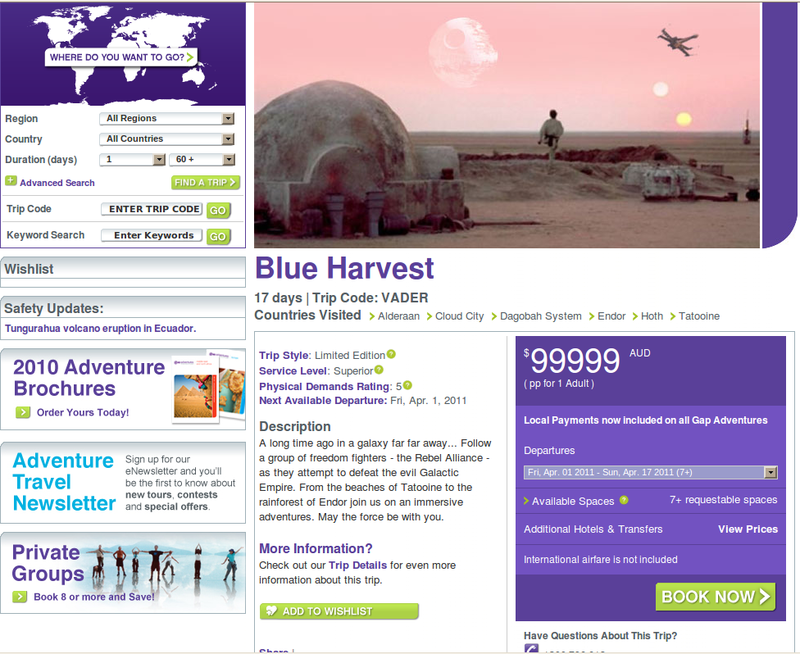 Intrepid and explore.co.uk also offer interesting touring packages, though nothing that exotic. Mate, just don't go with gecko - they totally screwed us on our planned mexico trip. They cancelled on us and charged us a 25% cancellation fee! Hey G! Glad to hear you enjoyed our out of this world destination! I can't find your contact info and would love to chat with you. Would you mind reaching out to me at kerrim@gap.ca? Thanks!